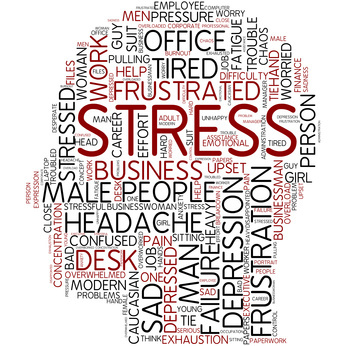 Blog 3 : Stress, A Silent Initiator Of Piles Problems !!! Stress is the condition which is overloaded with feelings. It is more related with psychological condition, When the things become too much or uncertain it produces a burden over our mind which can be termed as STRESS. It has overall bad affect on our physical and mental health. We can say stress is that feeling we usually have when we are under pressure. And due to that mental or physical pressure our body stops responding to any physical activity and that causes problems in our body and one of them is piles problem. At present time, most of the individuals are having piles problem due to their stressful life schedule like improper eating habit, mental tensions, and work pressure sitting during whole day and so on. But emotional stress affects our autonomic nervous system which helps us to fight or run for your life. Dealing with a disturb bowel can be very difficult. Bowel problems are a common problem with anxiety, as the stress from anxiety alters hormones, changes digestion speeds, and puts significant pressure on your intestines. Chronic and sporadic stress disturbs regular bowel movements and contributes to constipation so these are the initial symptoms of getting piles problem. There are much more alternate ways who help us in today’s time to get the treatment with this piles problem as being caused due to stress and the initial step can be eating healthier as it can be a big help. There are many alternate treatment / medicine for piles problems. But the best way can be that which will not only work in the treatment of piles cause but brings your life much more nourishment and fruitful and that way where we can get this point is “Ayurvedic piles treatment” because it deals in each and every aspects of human life. Ayurvedic Piles Medicine helps people to live long, healthy and balanced lives without the need for prescription drugs, complicated and painful surgeries. Its basic concept is to maintain health rather than treatment. Thanks for sharing this information with us.This information is useful for everyone.stress can affect your body, your thoughts, and feelings and your behavior. I use an upright hair dryer that I’ve had for years. 30 minutes under the dryer on medium heat and I’m done. Previous PostPrevious Blog 2 : Why Ayurvedic Medicine for piles is the best piles Treatment ? Next PostNext Blog 4 : “Fistula-in-Ano” Right from the patients mouth !! Blog 4 : “Fistula-in-Ano” Right from the patients mouth !! Blog 2 : Why Ayurvedic Medicine for piles is the best piles Treatment ? Blog 1 : Sitz bath for Piles & Fissure ! !